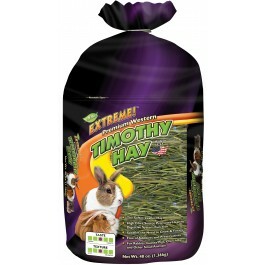 Extreme!™ Natural Premium Western Timothy Hay! 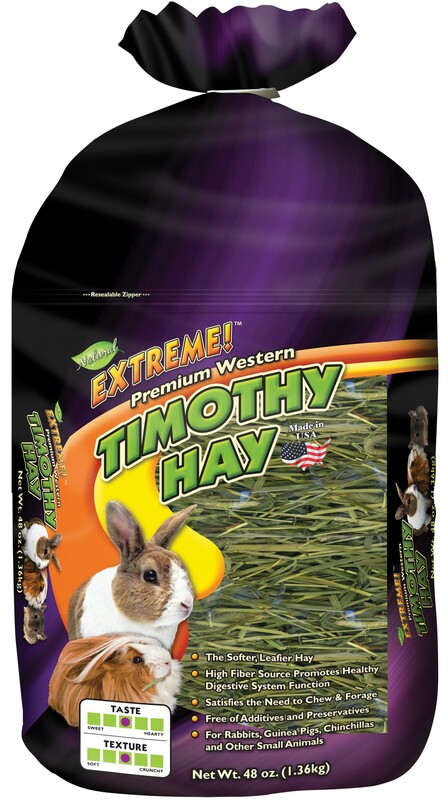 Open the bag and smell the sweet aroma of Extreme!™ Natural Premium Western Timothy Hay! This clean natural scent is your assurance of top quality and freshness, captured straight from the timothy fields and harvested at the peak of maturity. Timothy hay is an excellent long-strand fiber source and provides the roughage required in the diets of small mammals such as rabbits, guinea pigs and chinchillas. 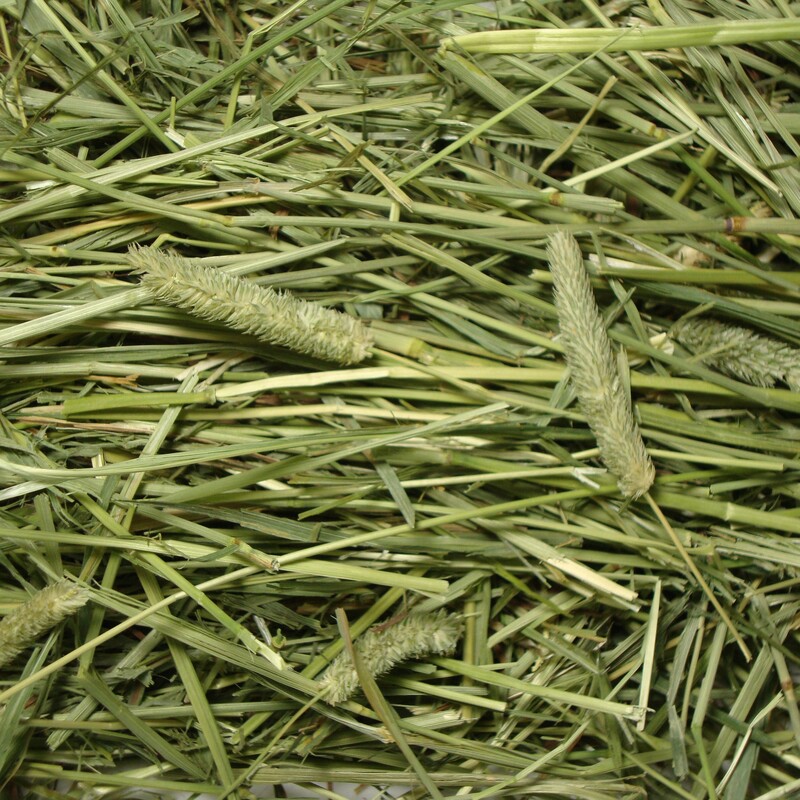 Did you know that hay should consist of 70% of a small animal's daily diet? Be sure to keep fresh hay available for your pet at all times.